Some of the top Democratic candidates in Idaho – including candidate for governor Paulette Jordan and for lieutenant governor Kristin Collum – are proudly touting their endorsement from a group so far to the left it almost makes Bernie Sanders look like a moderate. 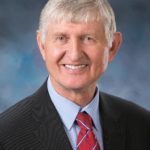 United Vision for Idaho, along with its sister organizations United Action for Idaho and Rise Up, Idaho, has endorsed Jordan, Collum and many Democratic candidates. It is a state outpost of the national far-left group “People’s Action,” which is funded by a consortium of leftist billionaires and multimillionaires under the “Democracy Alliance” umbrella. People’s Action and Democracy Alliance are so-called “dark money” organizations, making it difficult to know how much money they spend and how they spend it. “Mass liberation” of incarcerated prison inmates. The group’s far-left ideology doesn’t stop at its platform: The “Recommended Reading” list on its website includes books by a revolutionary Socialist anti-capitalist, an apologist for communist leader Joseph Stalin and the Soviet Union, and a Marxist who wants to overthrow capitalism and looks favorably on the totalitarian Democratic Socialist government of Venezuela. 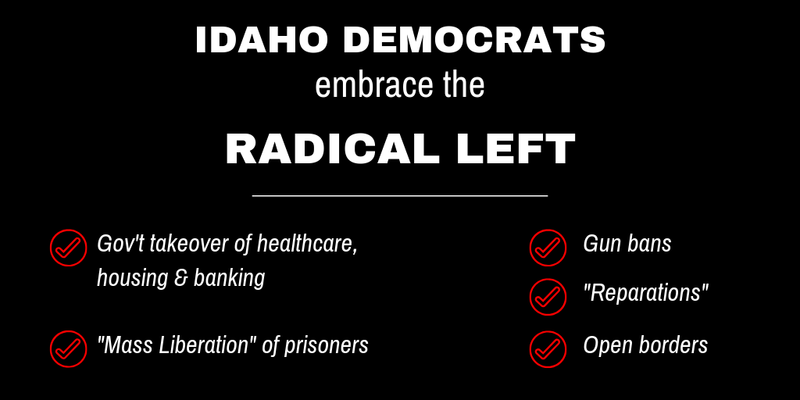 “It is almost beyond belief that any Democrat in Idaho would want to be the slightest bit associated with such an extremist organization, let alone embrace its platform and brag about its endorsement,” said Parker.